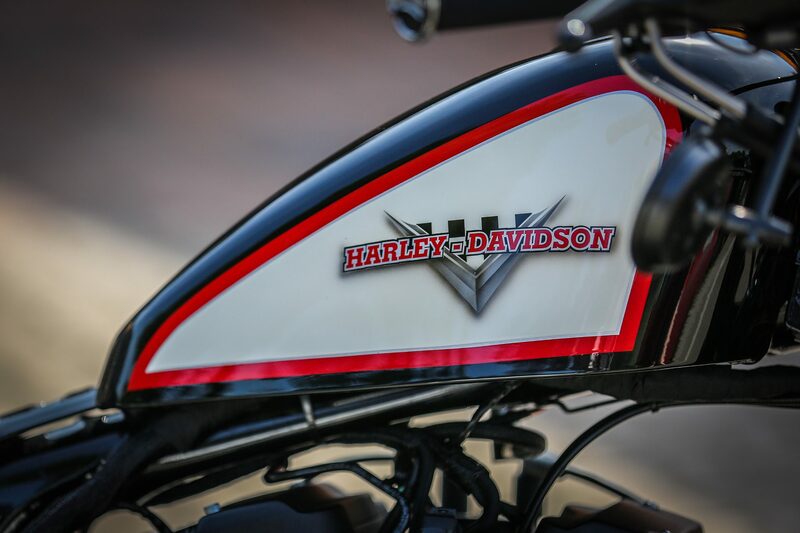 Wild, young and free. 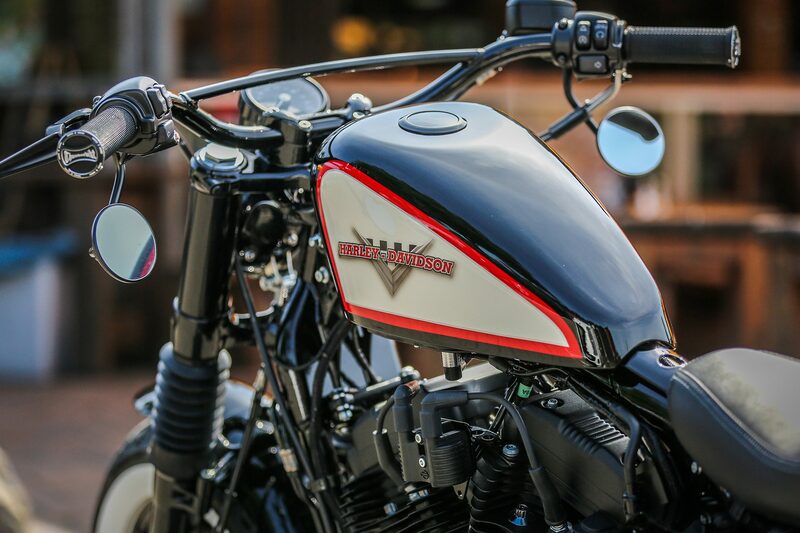 The design of this Forty-Eight invites, as the name suggests, to a wild ride. 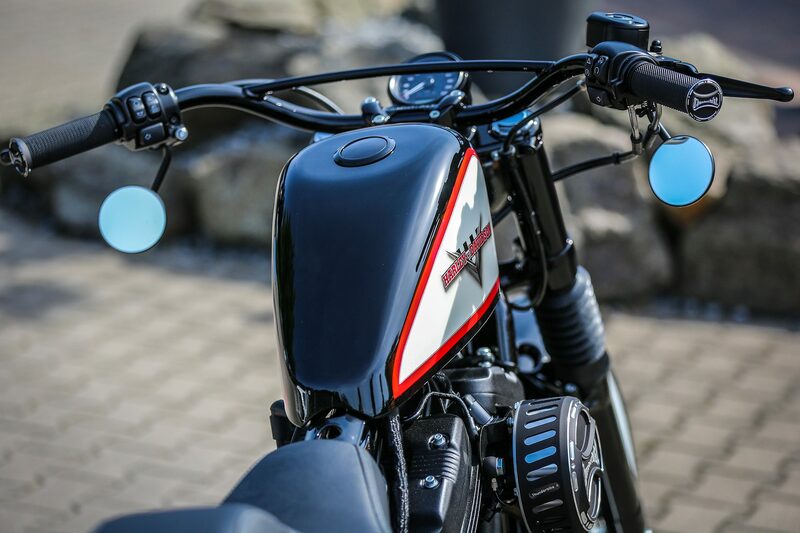 The tank design by Gerd de Kock is reminiscent of the old designs of earlier years. 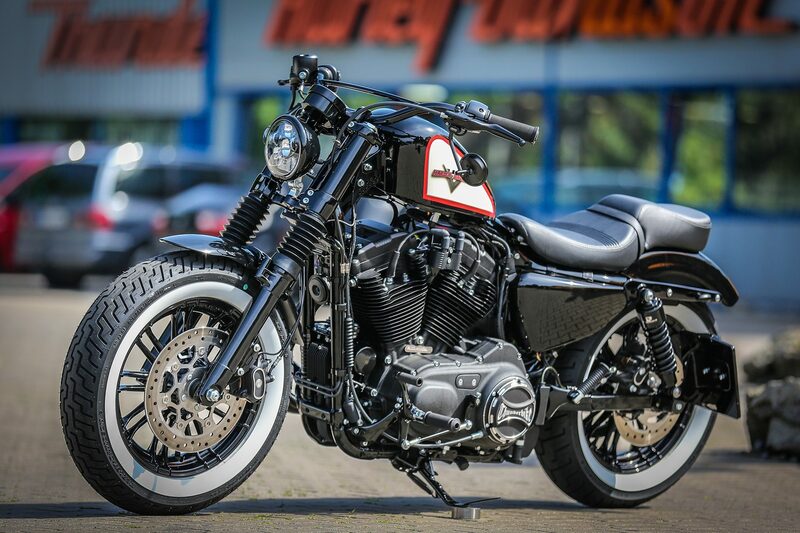 On this Sportster, we completely let off steam and gave the “wild blood” a good load of Thunderbike parts. 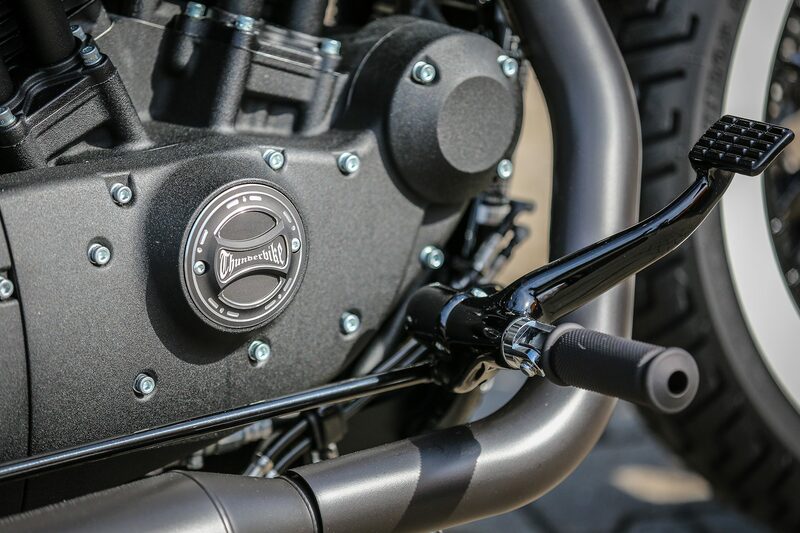 Black is always beautiful – that’s why the original Harley-Davidson rocker boxes, the pushrods and the lift cases were powdered black. 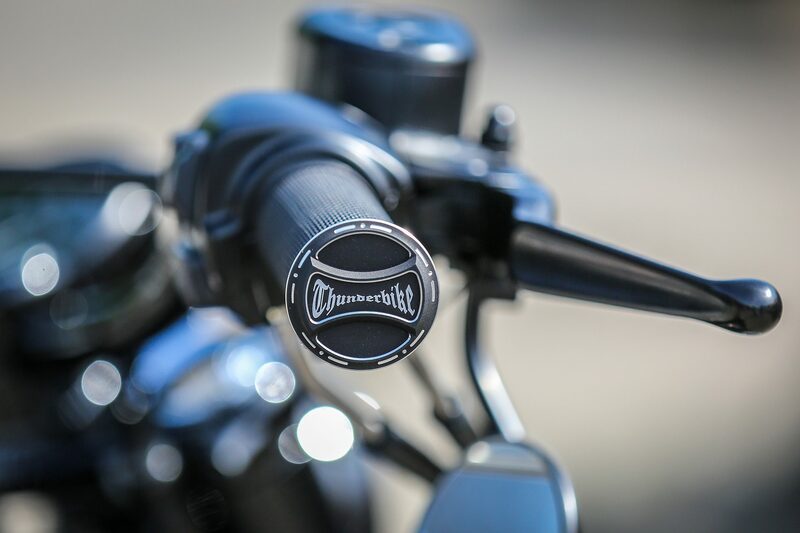 The complete covers were equipped with our Torque Design with Thunderbike Logo. 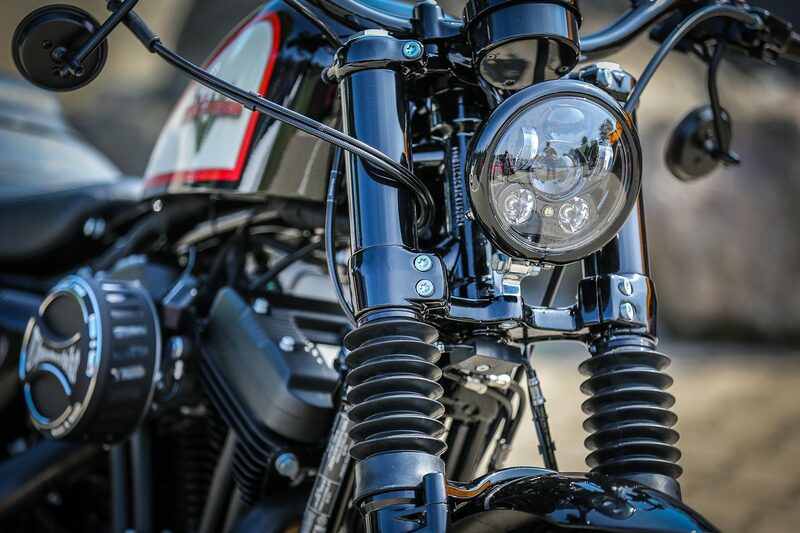 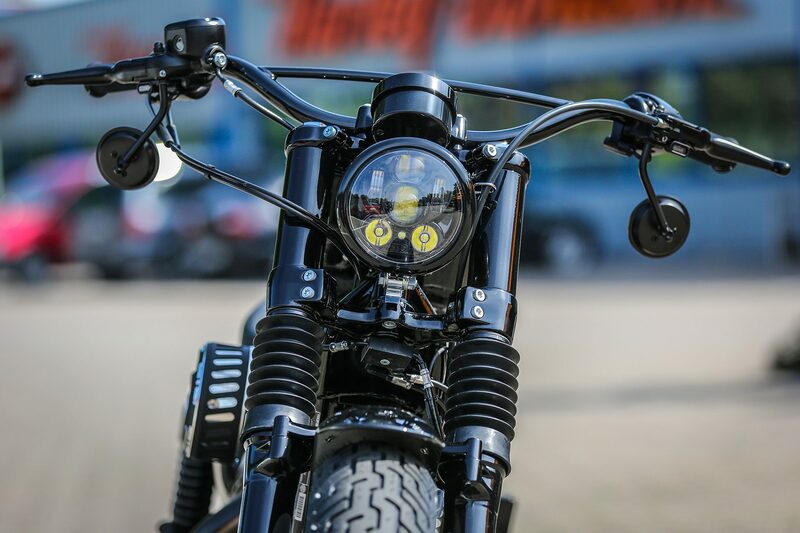 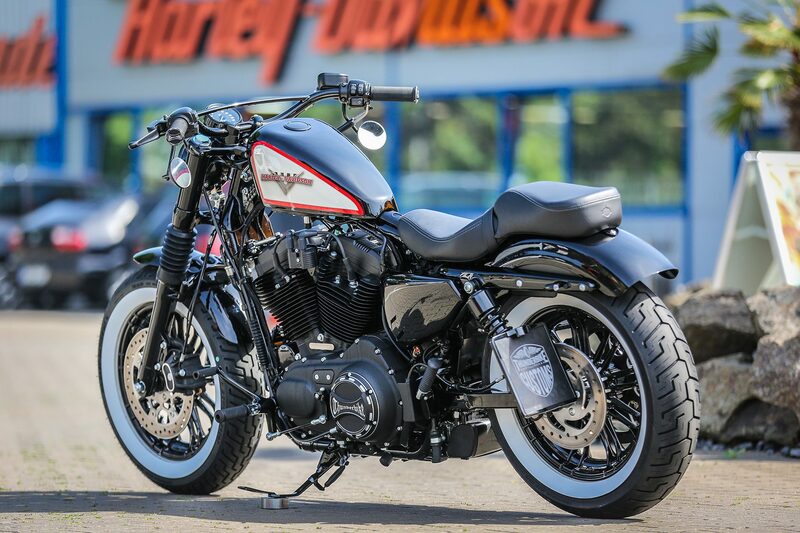 If you want to achieve the typical bobber look in a modern style, a tank elevation, a Hollywood handlebar with small turn signals, dainty mirrors and a neat headlight on the front view should not be missing. 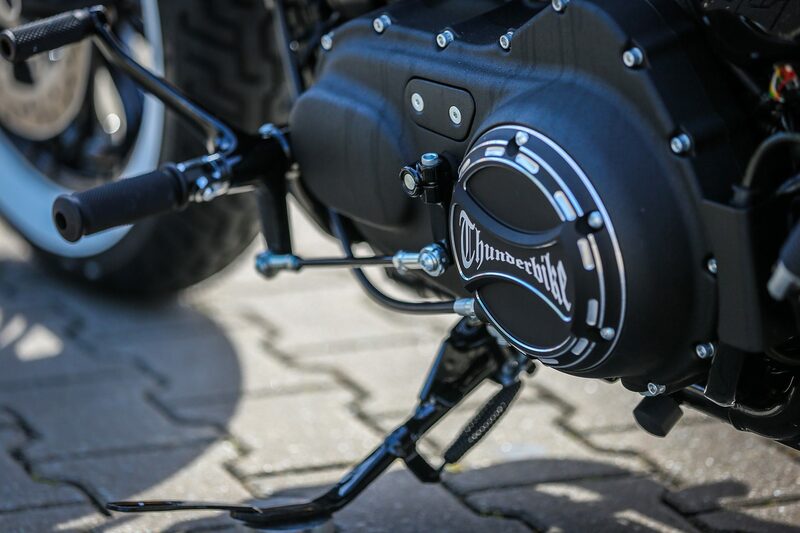 The fork boots and fork covers also adorn the front. 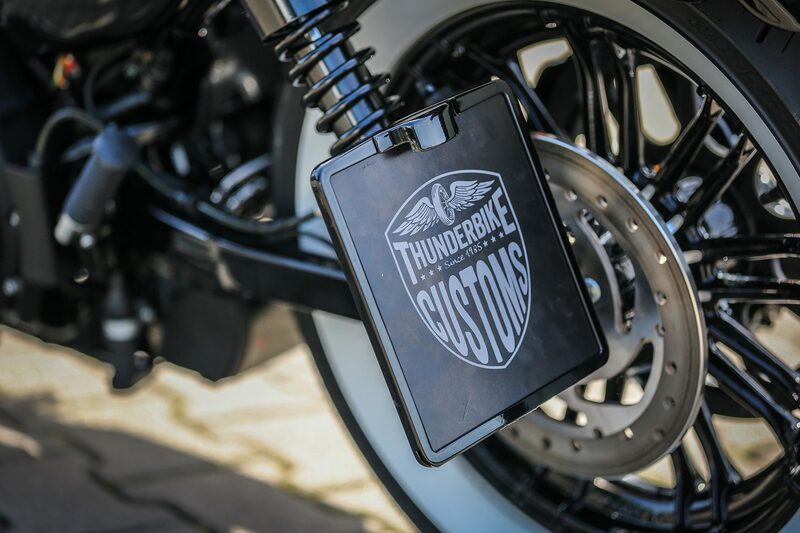 A clear rear view is provided by our side mount license plate holder with Inside Plate and license plate lighting. 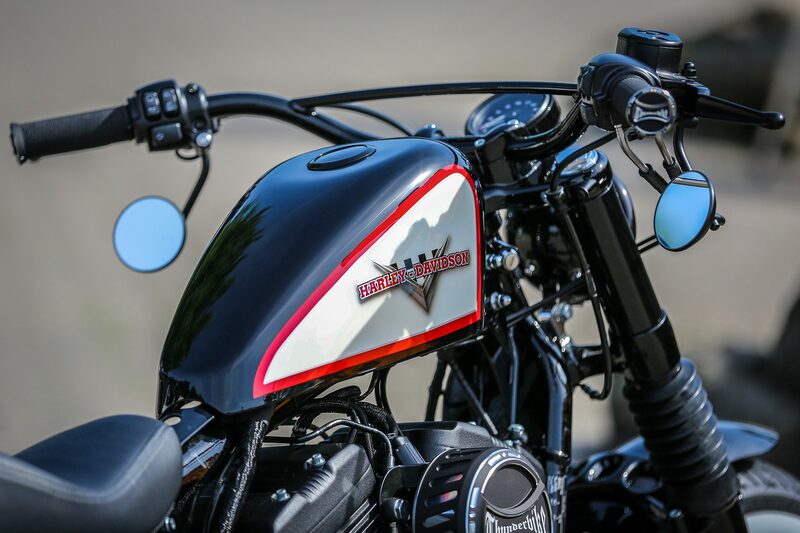 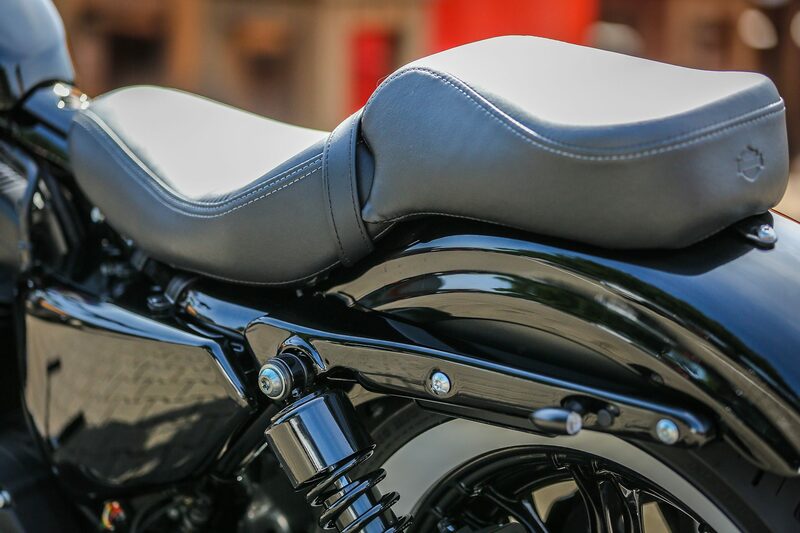 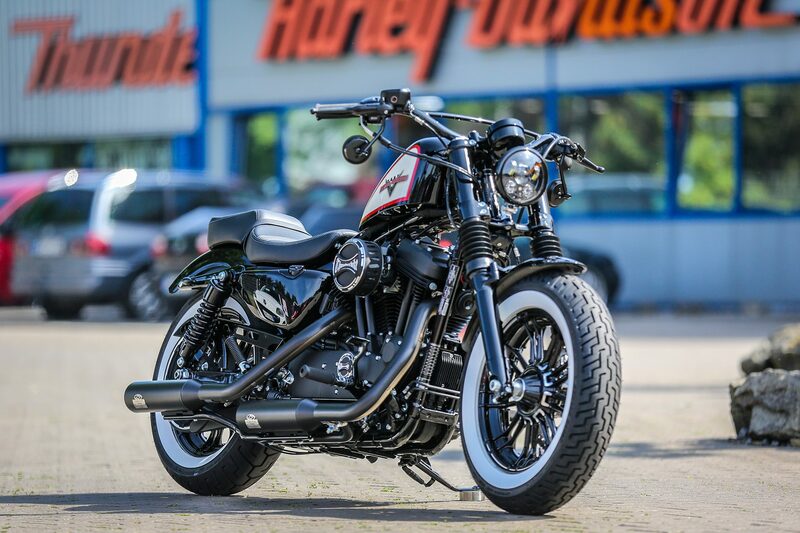 The Forty-Eight has been equipped with a Harley-Davidson pillion seat and pillion footrests so that the customer’s son can also find a seat on the back. 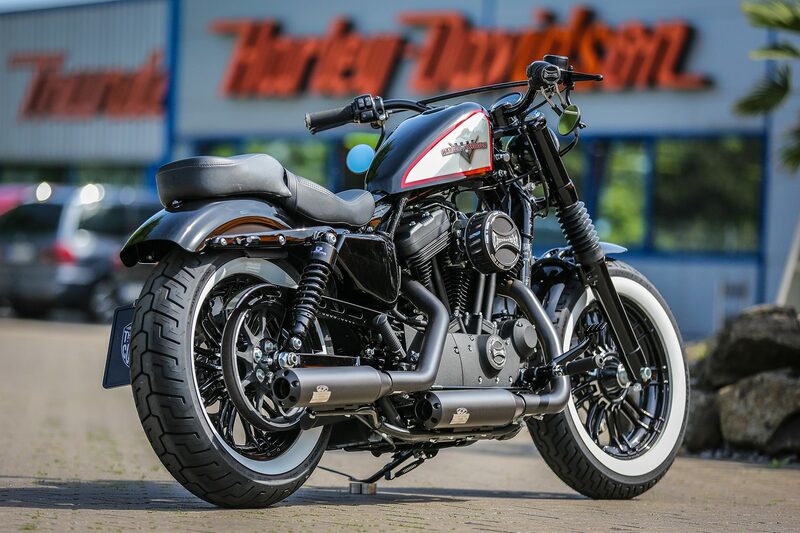 More Sportster Parts and lots of inspiration can be found in our online shop. 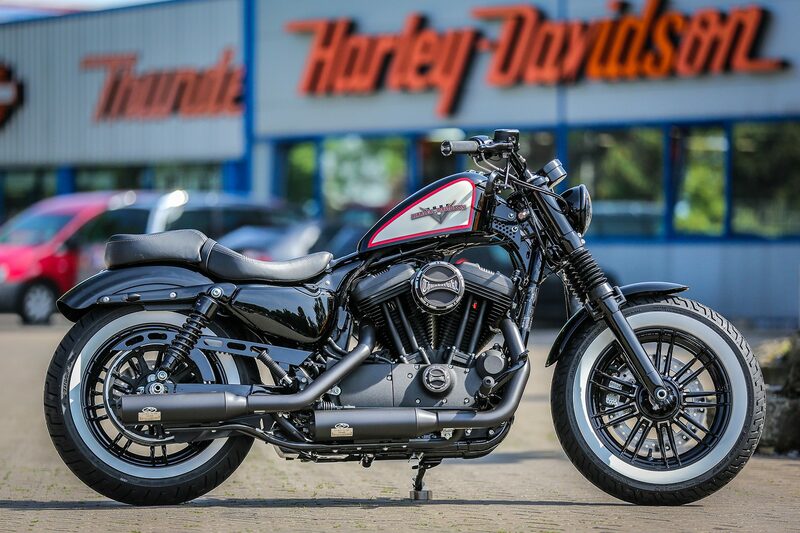 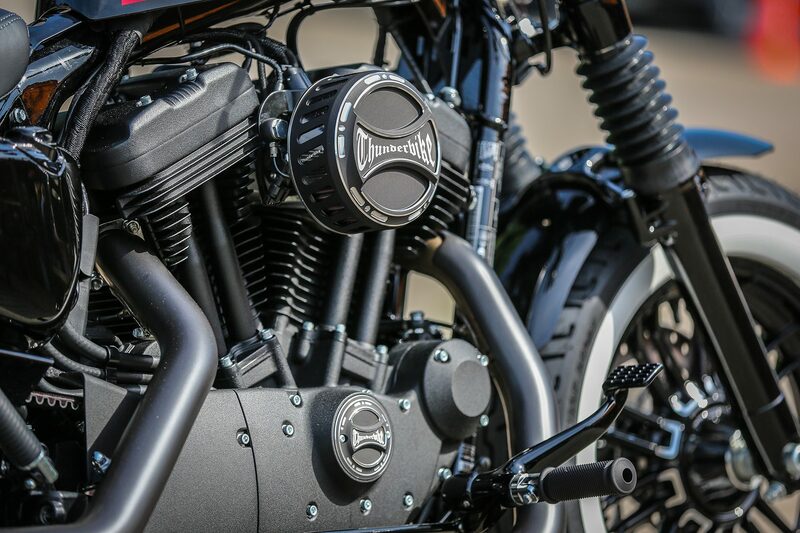 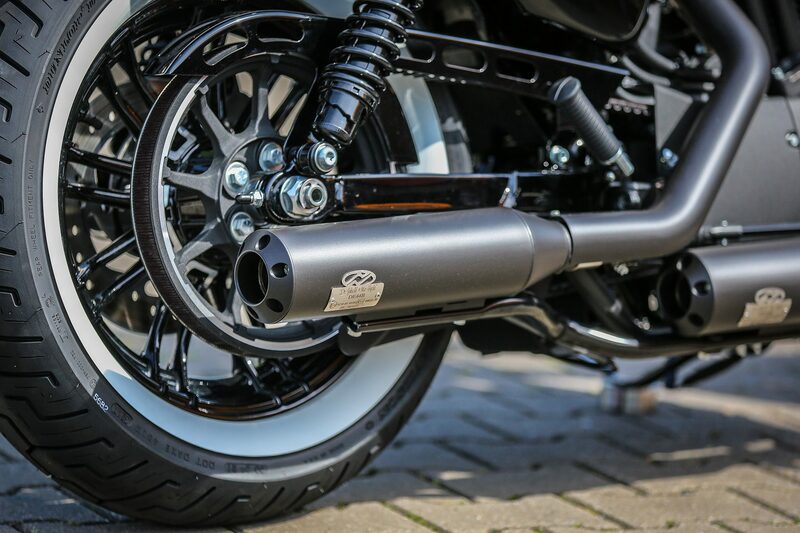 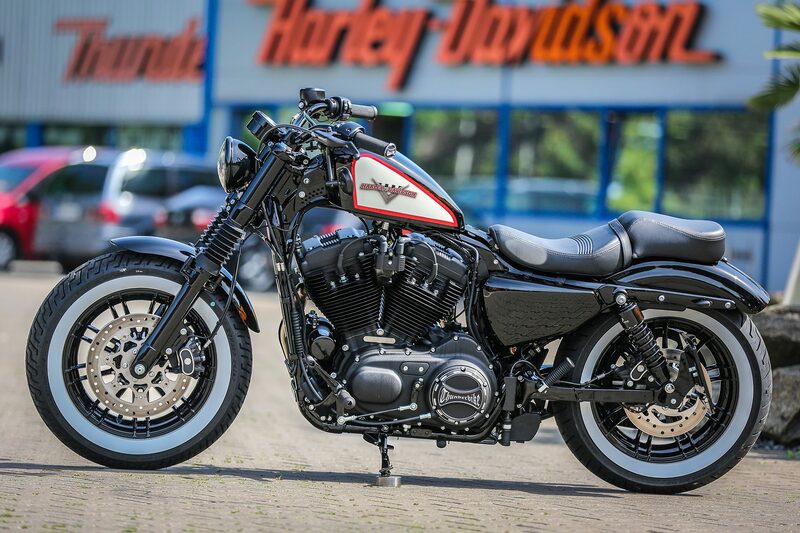 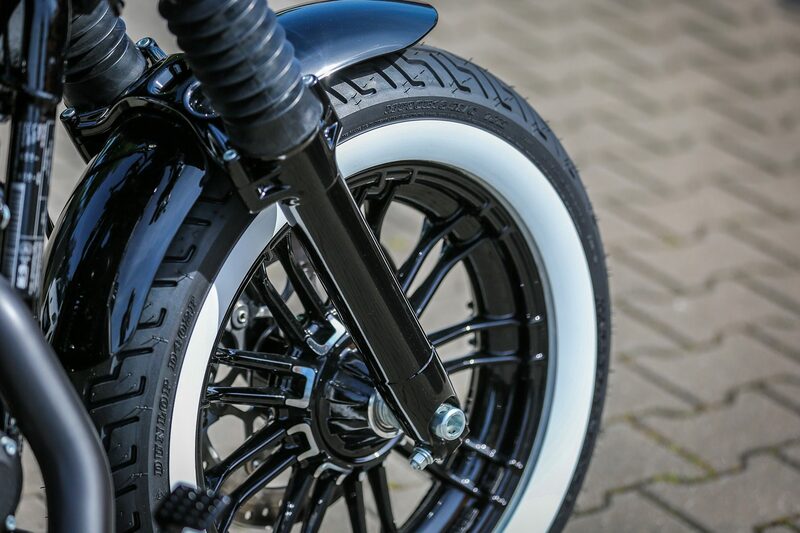 You can find examples and further conversions in our Sportster category on the website. 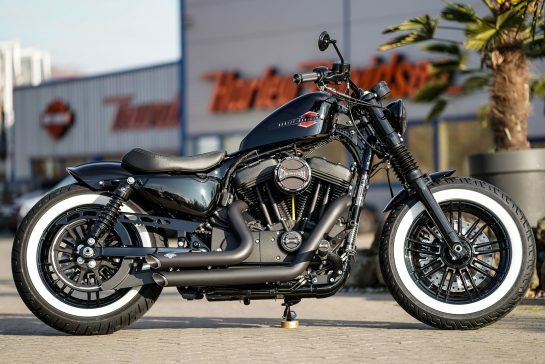 We wish father and son all the best with this bike!